Although focusing predominantly on the practical effects of Arbitration Law provisions, the authors stress practice involving China’s two commissions specifically addressing international matters, the China International Economic and Trade Arbitration Commission (CIETAC) and the Beijing Arbitration Commission (BAC). 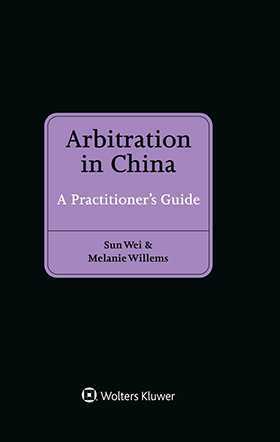 Among the numerous local commissions functioning under the Arbitration Law, special attention is paid to those in Beijing, Shanghai, and Guangzhou, which (along with CIETAC) accept the greatest number of cases with a foreign element. The book will be invaluable to corporate counsel and other practitioners dealing with Chinese companies. Scholars of comparative arbitration law will also find much here to interest them.